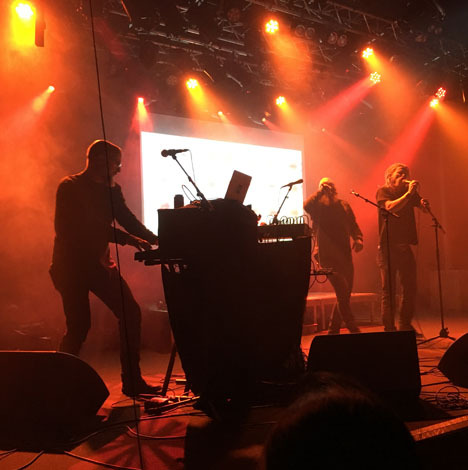 Last weekend, classic Cold Meat Industry industrial/neofolk/neo classical/dark ambient acts like Mortiis, Arcana, Raison D’être, Ordo Rosarios Equilibrio and In Slaughter Natives gathered in Stockholm. The 2-day 30th anniversary festival organised by Death Disco was sold out and successful, except for some sound issues. 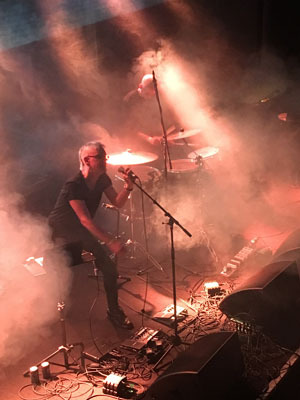 - Thank you everyone for the most amazing weekend!, label boss and Brighter Death Now member Roger Karmanik says. Cold Meat Industry artists rarely played live in the label’s home country during its existence, others rarely play live at all. And for this event, fans from all over Europe – Poland, Italy, France etc – flew in. Some gigs stood out. Archon Satani, who performed live, hasn’t been active for a long time and bands met on and off stage, like when Peter from ORE joined Mz 412 live. Arcana, Archon Satani, Brighter Death Now, Coph Nia, Desideri Marginis, Deutsch Nepal, In Slaughter Natives, Morthound, Mortiis, Mz 412, Ordo Rosarios Equilibrio, Raison D’être, Sanctum, Sephiroth and Sophia. That’s a lot of darkness, power, perversions and beauty to take in.